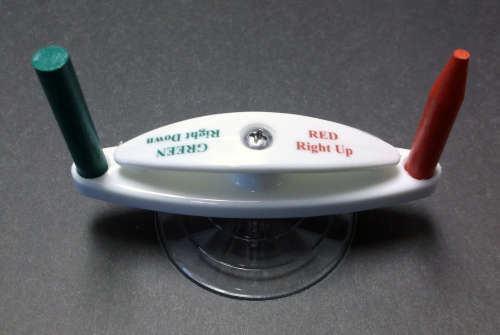 Marker Minders are a great way to show boaters how to navigate basic marked channels. These are ideal on the dashboard or binnacle top ahead of the captain. This simply means when you are going “up stream” you keep the RED markers on your right and when you are going downstream you keep the GREEN markers on your right. Remember This: When leaving the main channel to enter a marina, you are then going upstream, which means you keep the red markers on the right. Not all marina's have marked channels. When leaving the marina, you are going downstream to the main marked channel. Once you are back in the main marked channel, rotate your channel marker either way depending upon your chosen destination, upstream or downstream. To find where to purchase Market Minders, click on Dealers in the menu above. Please Note: We do not sell retail. To purchase a Marker Minder please contact your local marina or supplier. You can search for your local supplier in the Boating Ontario directory: https://www.boatingontario.ca/directory.